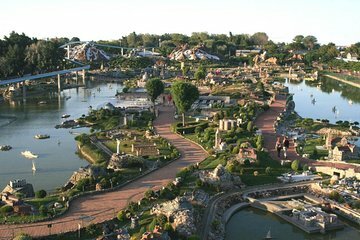 Get a perspective on Italy like no other when you visit Italy in Miniature—a Rimini leisure park that features more than 270 detailed scale replicas of the country's major cities and landmarks. Stroll past the Colosseum and St. Peter’s Square, the Milan Duomo and the canals of Venice, plus hundreds of other meticulously created models. Interactive activities are also on offer to engage visitors’ imaginations.